We live in a world of swiping, scanning, and occasionally scrolling. Reviewing a daily news feed. Looking for new listings on a real estate app. Sifting through posts on social media. Sorting your emails. Finding love on a dating app. Our mobile devices allow us to quickly review lots of topics, messages, posts, and pictures. Every so often one grabs our attention prompting us to scroll through the details. This common behavior has changed how we process information. And this includes how most hiring managers review candidates. These managers, regardless of age, swipe and scan through emails and resumes with ever-increasing speed. Only occasionally do they scroll through the details about someone who, after an initial glance, appears to potentially meet their needs. As more of our interactions with information shift to our mobile devices, this behavior will only increase … which is why you must adapt how you submit talent. Here’s how. 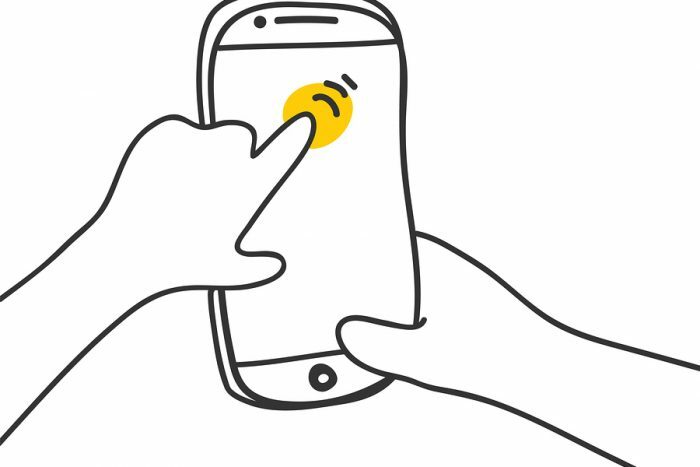 When do we go beyond swiping and scanning? When we see something that appears worthwhile. It could be an article offering five compelling solutions for a perplexing business problem. Maybe it’s a picture of the newest model of a popular device. Or it might include a combination of a picture and text, such as a snap of a yummy looking dish and a recipe title that promises low fat and big taste. Take time to identify the juicy and relevant details about a candidate. Don’t just ask about her skills — have her tell you about the positive business outcomes created by those skills. Don’t just ask him how much experience he has — have him give you the specifics regarding how that experience was praised by bosses and colleagues. Attention grabbing details are there if you take the time to find them. Actress Renee Zellweger famously said to Tom Cruise’s Jerry McGuire, “You had me at ‘hello.’” That’s what happens just before we decide to scroll through a piece of content — the very first “hello” (what we see or hear) either grabs or repels our attention. Your headline, be it your first spoken sentence, the voicemail you leave, or the subject line of an email, determines if the hiring manager keeps paying attention or swipes you aside. Pictures are powerful and are said to be worth a thousand words. We see this today in the success and growth of Instagram, along with the increasing popularity of video. Presenting talent with pictures is an overlooked opportunity. No, this does not mean you send the candidate’s picture. You can send powerful visual proof of the value the candidate could bring to the job. Examples include a picture of a written performance review; non-proprietary work created by the candidate; or, an award plaque. What keeps us reading content beyond a headline or picture? When what we see next makes it clear that continued interest is worth it. That’s what you’ll do with the additional juicy relevant details you uncovered in Step 1. You’ll write a brief opening paragraph that includes that information. Want to be even more compelling? Tie these details into specific requests made by the hiring manager. What does this look like in action? Here’s the opening spoken line (headline) and first paragraph from a voicemail message left by a recruiter at one of my clients last week. He also sent this same headline and paragraph as an e-mail after leaving the voicemail message. Included was a pic of the first page of her most recent performance review. Hi Roberto. You told me to look for someone who has the skill of Joe and communication abilities of Susan. I have her! Because of her skill, Emily has eliminated $120,000 in expense from the departmental budget. Her manager praises her communication as one of the reasons for this. He also credits her abilities for solving persistent problems, much like those issues you’ve mentioned your department is facing. Like it or not, we now live in a world that floods us with information from all directions. To help your candidates stand out, you’ve got to cut through that noise. Hiring managers will swipe and scan your candidate to the side unless you make it clear it’s worth their while to stop and scroll through the details.